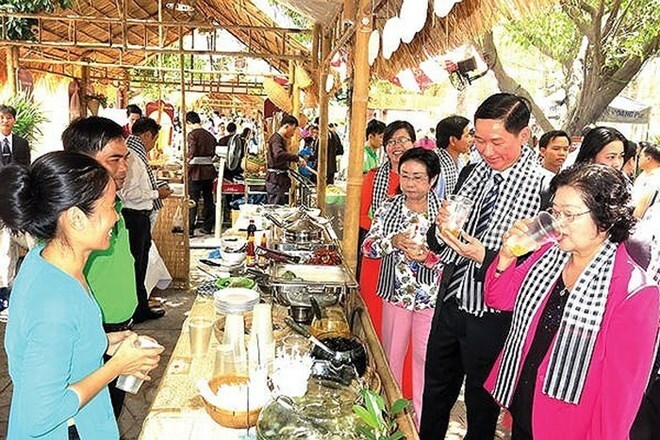 HCM City (VNA) – The eight annual Southern Cuisine Festival kicked off at Dam Sen Theme Park, Ho Chi Minh City, on May 31, offering the public a chance to taste specialties of the region. This year’s event features 60 booths of 40 units from central and southern localities, including Thua Thien-Hue, Quang Nam, Ninh Thuan, Binh Thuan, Ba Ria-Vung Tau, Dong Nai, Tay Ninh, Ben Tre, Long An, Tien Giang, and Ho Chi Minh City. Visitors are invited to taste the culinary essence of the participating localities and explore the art of the tea ceremony, the farming of organic fruits and vegetables, and traditional crafts, such as mat making, brocade weaving, and noodle making. The festival also includes performances of UNESCO-recognised Don Ca Tai Tu, a traditional musical art form of the south, and folk songs and dances of the Ede ethnic group.